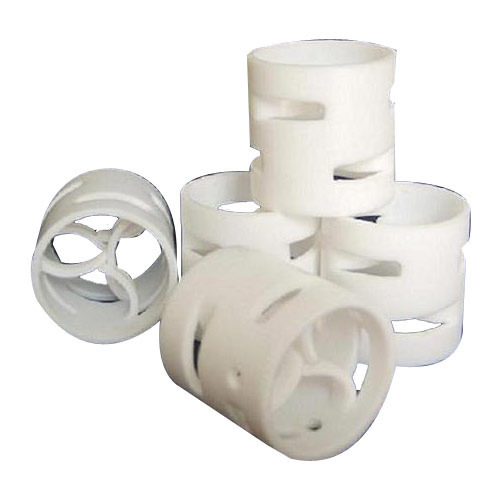 With immense experience in this domain, we are offering a fine quality range of Ceramic Pall Ring. Widely used for refilling existing columns and other applications, the offered range remains in great demands across the industry. The offered range is precisely manufactured using quality assured raw material and advanced techniques in adherence to the set universal standards. Also, the entire range is tested by adept quality controllers at every stage of production. We, “Essen Ceramics”, established in the year 2012, at Vadodara (Gujarat, India), are noteworthy manufacturer, trader, exporter and supplier of premium quality gamut of Ceramic Tubes, Metal Finishers, Ceramic Insulators, Industrial Minerals & Powders, Industrial Ceramic Products, Ceramic Acid Proof Tiles, Bricks & Blocks, Ceramic Balls & Rings, etc. The offered product range is manufactured and designed using optimum quality raw material that we procure from the reliable vendors of the industry. Also, we use cutting-edge machinery and innovative technology in the manufacturing process of these products. These products are highly demanded appreciated among clients for corrosion resistance, high temperature resistance, robust design, flawless finish and high thermal conductivity. We offer our product range in various specifications and can be customized as per the specific requirements of our clients at reasonable price range. Besides, we also process Industrial Chemical by utilizing high gradechemical compounds and sophisticated processing techniques.